This has been one of our very favorite recipes for M.A.N.Y. Y.E.A.R.S! It's a hearty soup that will warm and fill your tummy! buuuuuuut, I'm always greeted with such big grins from my family when they see that this is what's cookin! It's super flavorful plus a quick and easy dinner. I just throw it all in together and let simmer for 10 minutes. All the flavor comes from the hot links and it's got just a little bit of a kick to it (not too much though). 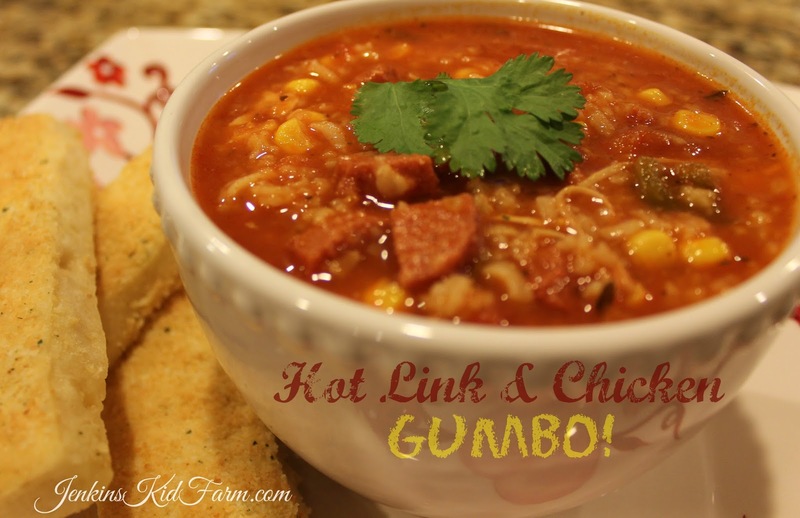 Seriously, you will LOVE this soup! FYI: I always double it! It's great leftover too!! !